At first, the Annex seemed relatively "spacious" to the naive Anne, and staying there was "more like being on vacation in a very peculiar boardinghouse." In reality, however, the hiding place was only ~815 square feet, which she would share — for the next two years — with seven other occupants, all of whom lived with the ever-present worry of being found out. As Anne later describes it: "We have to whisper and tread lightly during the day, otherwise people in the warehouse might hear us. ... The fact that we can never go outside bothers me more than I can say, and then I'm really afraid that we'll be discovered and shot." The Annex would not be the vacation Anne initially imagined. Fortunately, however, within this otherwise stifling environment, Anne had a constant companion: her diary. “I hope I shall be able to confide in you completely, as I have never been able to do in anyone before, and I hope you will be a great support and comfort to me." But usually it was where she could share her "thoughts and feelings", which ranged from deep and mature: "I don't want followers, but friends, admirers who fall not for a flattering smile but for what one does and for one's character", to shallow and juvenile: "Aren't they [the adults in the Annex] all stupid! We aren't allowed to have any opinions. ... no one, especially the stupid 'know-alls' here, can understand us." Anne definitely did not hold back in her diary. Ironically, this outlet in which Anne could occasionally disparage the adults in hiding — including her own parents — was made possible by her father. 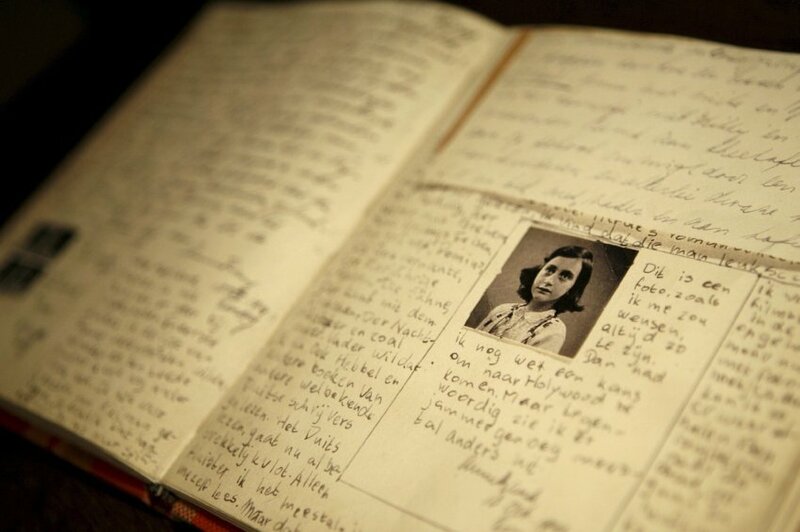 For in addition to giving Anne the original diary, Mr. Frank also promised his daughter complete privacy to write within it. As he said in an interview years later: "She left the diary with me at night, in a briefcase next to the bed. I had promised her never to look in. I never did." No one in the Annex saw inside Anne's diary, unless she chose to share. In other words: Anne's diary was her secret. Within the pages of her own private world, Anne was completely free to express herself, openly and without censor. Given the broader confines in which she was forced to live, her father's gift was a little taste of freedom and self-direction, a reprieve from the political world she was powerless to change and a refuge for a personal growth she was determined to effect. Through writing in her diary, Anne grew emotionally and intellectually, further developing her personality, her character, and ultimately her self. Anne wrote this when she was 15 years old. So what would Anne have been like had she not been free to write as she pleased during the preceding two years, if her father had not respected the privacy of her diary? For instance, what if Mr. Frank had tried to be his daughter's 'best friend', wanting her to share everything with him; or if he had been a 'helicopter parent', looking over Anne's shoulder at every turn of the page? "The nicest part is being able to write down all my thoughts and feelings, otherwise I‘d absolutely suffocate." Everyone needs a private place to share their deepest emotions, sometimes even just to let off steam, and Anne was no different. One day, for instance, after she was criticized by an adult in hiding, Anne let loose in her diary: "I'm expected (by order) to simply swallow all the harsh words and shouts in silence and I am not used to this. In fact, I can't! I'm not going to take all these insults lying down, I'll show them that Anne Frank wasn't born yesterday. Then they'll be surprised and perhaps keep their mouths shut when I let them see that I am going to start educating them." But Anne's diary was more than just somewhere to freely vent, or even to thoughtfully introspect. It was also her creative outlet, as an aspiring writer. And this was not the naive longing of a little girl. Anne took her career goal seriously, and wrote a lot: “A few weeks ago I started to write a story, something I made up from beginning to end, and I've enjoyed it so much that the products of my pen are now piling up.” Although it is not widely known, in addition to her diary Anne authored two other works: Tales from the House Behind, a collection of fables and short stories, and Cady's Life, an unfinished novel. An ambitious girl, Anne actually wrote these with the explicit aim of one day having them published. A private diary (or a journal, a notebook, etc.) is not only a practical advantage for aspiring young writers, of course. As Anne's words show, it can be a sanctuary for the stirrings of a child's own soul — a place to record basic daily events, or to consider life's big issues; to angrily vent about the wrongs of others, or to soberly explore a lack of virtue in oneself; to bemoan past failings (in one particularly meaningful entry, Anne recalls "a long talk" and cry with her father), or to build future dreams. Ultimately, a diary can be a "support and comfort" in the forming of one's very self. The educator Maria Montessori once said, "A child without a secret becomes an adult without personality." 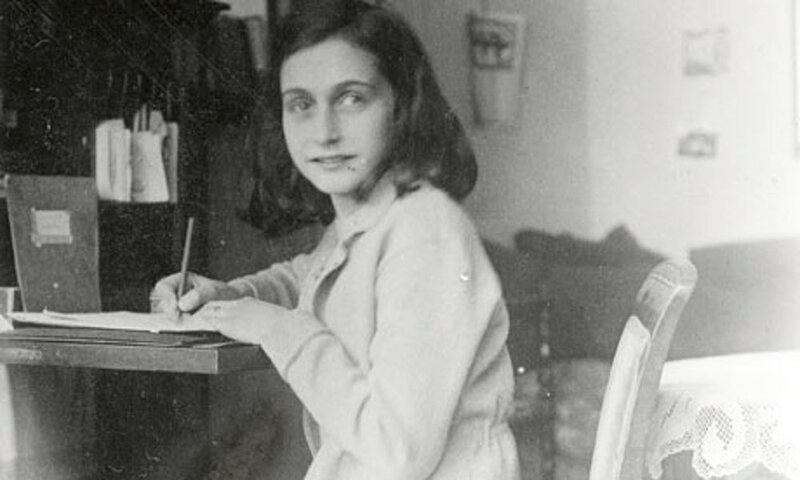 Tragically, the world will never meet the 'adult' that Anne Frank was becoming. (On Friday, August 4, 1944, the Annex was raided, and all the occupants were arrested and sent to concentration camps. Only Mr. Frank would return.) 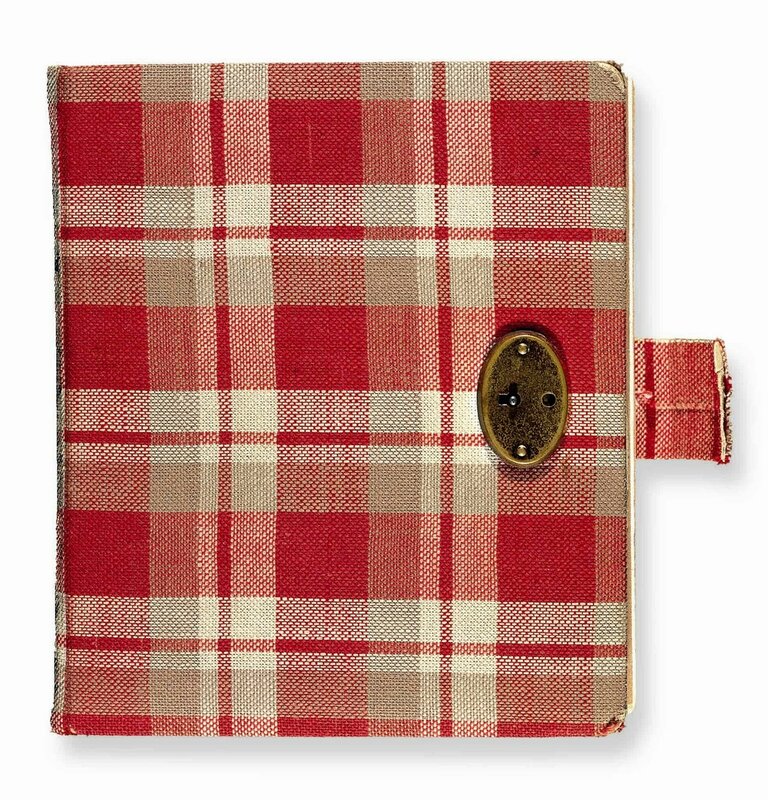 But at least as a young girl Anne experienced the good fortune of having a secret completely her own: a red-checkered diary, from a loving and thoughtful father. Jesse McCarthy is the Founder and Head Guide of Montessori Education, an organization dedicated to helping parents and teachers raise independent, flourishing children — while enjoying themselves along the way.